As your business grows, your bookkeeping and accounting requirements grow with it. In addition, as technology improves and the need for up to date information intensifies, the requirement for an efficient web based solution increases. Online Accounts Software Packages keep you in control of your figures wherever you are, 24 hours a day, 7 days a week. 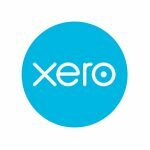 In line with this client requirement, we use and recommend Xero Online Accounting to customers. Xero Online Accounting gives you the financial information you need to know about your business instantly. The reports help you see where your money comes from and what it’s being spent on. The reports include a breakdown by percentage of where your income comes from – either in terms of customers or products sold, a VAT report, a breakdown of outgoings, plus much more. 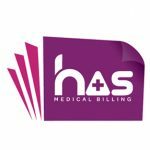 Hospital Accounting Services is the premier and largest Consultant Medical Billing organisation in Ireland and provide billing services to Consultants and Consultant Groups in most hospitals nationwide.